Could Unions Disrupt Uber’s Empire? Seattle’s drivers are fighting—and beating—the Uberization of their work. Uber and Lyft boast of being the vanguard of the sharing economy, blazing new trails in digital innovation. The City of Seattle has just tempered that idealistic vision with some much-needed worker protections. When the rideshare cartel came to town, Seattle drivers mobilized with digital innovation of their own, creating the country’s first law granting collective bargaining rights to rideshare service drivers. 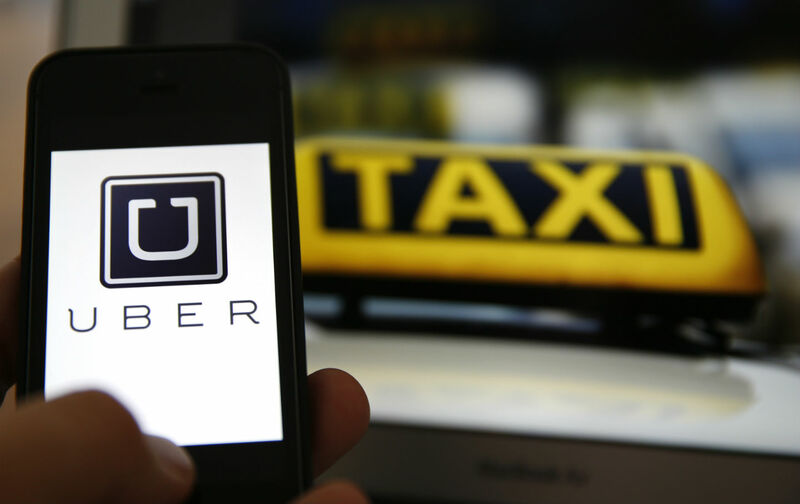 The new legislation, passed by an 8–0 vote by the City Council, effectively paves the way for unionizing Uber and Lyft drivers, which could serve as a model for other cities and raises major questions about Uber’s obligations under federal and local labor laws. The law will likely add to a slew of complex legal battles facing rideshare companies that bridle against local regulations. Lyft argues that such measures would unfairly curtail the “flexible economic opportunity it offers” to supposedly self-employed drivers. Enabling unionization would undercut the expansion strategy of capturing a local for-hire vehicle sector through slick recruitment campaigns, aggressive lobbying to circumvent local law, and ruthlessly out-competing local cabbies on fares and consumer marketing. For now, however, labor advocates are celebrating this as a vindication of months of grassroots campaigning, spearheaded by the Teamster-affiliated App-Based Drivers Association, which has been advocating for decent wages and fairer working conditions. Rebecca Smith of National Employment Law Project sees the Seattle rule as a promising model for driver organizing, in part because it is both flexible and complementary to existing legal frameworks. The Seattle ordinance treats drivers as independent contractors, but does not aim to preempt or conflict with federal wage-and-hour laws. So if Uber drivers are found to be employees under federal labor law, they can still enjoy the collective bargaining rights established by Seattle’s government. The unionization ordinance challenges Uber with an inversion of the rideshare sector’s infamous “have it both ways” scheme, in which they control “app users” as if they were employees while avoiding responsibilities and expenses related to taxation, regulatory compliance and insurance. The Seattle legislation forms a vital legal shield for drivers as Uber pushes a new contract with driver-workers that limits their right to bring civil suits while imposing mandatory arbitration to resolve disputes. But even if the ordinance withstands legal challenges, rideshare workers would face another daunting challenge in organizing across the city to gain a majority of a yet-undefined collective bargaining unit. Drivers would also have to pioneer a representative structure for negotiation and determine the scope of contract demands. Who would represent companies, drivers or the city’s interests? Would drivers be willing to adhere to more rigid scheduling or fee structures in exchange for a steadier income or job security? One universal demand across the rideshare sector—and a longstanding issue for the entire contractor-based for-hire vehicle industry—is establishing accountability and transparency. Drivers could demand that Uber provide health or disability insurance, or push for due process in personnel issues to allow drivers to challenge or appeal decisions to downgrade or deactivate drivers, which advocates complain are currently done arbitrarily based on passenger ratings. There is potential for cross organizing with other for-hire vehicle services; in Seattle and other large cities like New York, many non-app drivers are classified as independent contractors as well, and some Uberites are former traditional cabbies. The rising anti-rideshare backlash indicates that the Uberization of transport services does not “innovate” so much as replicate old-fashioned corporate hegemonies by cornering a market and lowering labor cost through shifting economic and safety liability onto “independent” drivers. The Seattle campaign signifies a collective realization that Uber’s explosive growth runs counter to the public interest by making drivers, and by extension passengers, more vulnerable to exploitation and market volatility. As one study of Uber driver forums recently concluded, by lumping consumers and workers under the dominion of the rideshare app, Uber’s marketplace has engendered an unexpected sort of political enterpreneurship, which might spawn a radical organizing platform. The ad-hoc forums, researchers found, offered communal space for fomenting discontent and mutual support among frustrated drivers: they could exchange notes and advice on surviving on unstable income and erratic work schedules, or share ad-hoc resistance strategies like countering Uber’s intense monitoring of driver performance with their own hidden cameras or alternative driving logs. For all of Uber’s efforts to atomize its fleet into proprietary account holders, the drivers are nevertheless succeeding cultivating a common political consciousness, united in their drive to become masters of their own digital-economic destiny. Though rideshare drivers may be denied their fair share of the sharing economy, they’re sharing angry solidarity. While Uber and Lyft capitalize on the power of crowds to feed their monopolies, could drivers in turn crowdsource their collective wisdom to socialize their workforce?